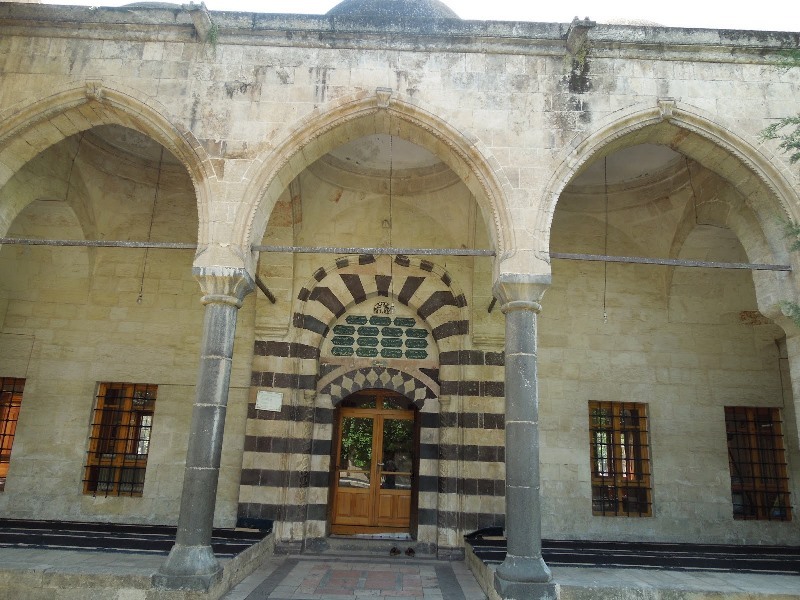 Located in Urfa, Rızvaniye Mosque is a more recent Ottoman mosque built in 1716, adjoining the Balıkligöl complex near the Mevlid-i Halil Mosque. 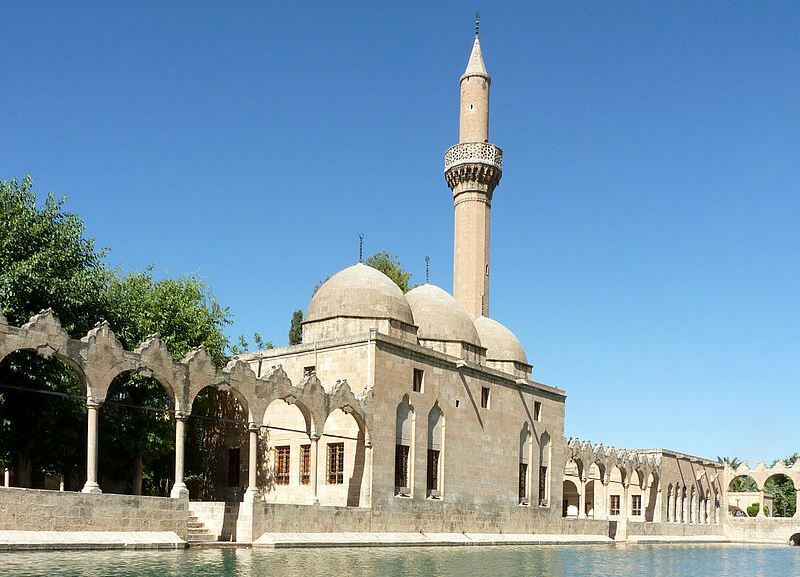 18th century Rizvaniye Mosque built by Ottomans, Şanlıurfa with Balıklı Lake of sacred fish of Abraham. The legendary Pool of Abraham or Sacred Fish (Balıklıgöl) where Abraham was thrown into the fire by Nimrod. 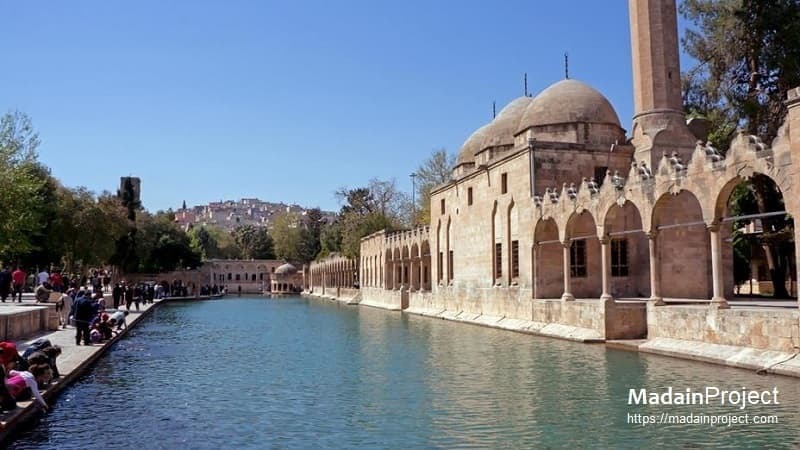 The pool is in the courtyard of the mosque of Halil-ur-Rahman, built by the Ayyubids in 1211 and now surrounded by the attractive Gölbaşı-gardens designed by architect Merih Karaaslan. The courtyard is where the fishes thrive. A local legend says seeing a white fish will open the door to the heavens.